Welcome to Dr. Critchlore's School for Minions, the premier trainer of minions for Evil Overlords everywhere. 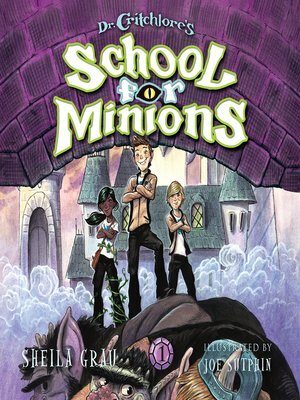 No student is prouder to be at Dr. Critchlore's than Runt Higgins, a twelve-year-old werewolf. (At least he thinks he's twelve. He was abandoned at the school as a baby, so he can't say for sure.) Runt loves everything about Dr. Critchlore's. He loves his classes—like History of Henchmen and Introduction to Explosives. He loves his friends—like Darthin the gargoyle and Syke the tree nymph. And he loves his foster family, who took him in when his wolf pack couldn't. But not everyone loves Dr. Critchlore's as much as Runt. After a series of disasters, each worse than the next, it's clear that someone is trying to shut the school down. It's up to Runt, who knows the place better than anybody, to figure out who's behind the attacks . . . and to save his home, and Dr. Critchlore himself, from total destruction.